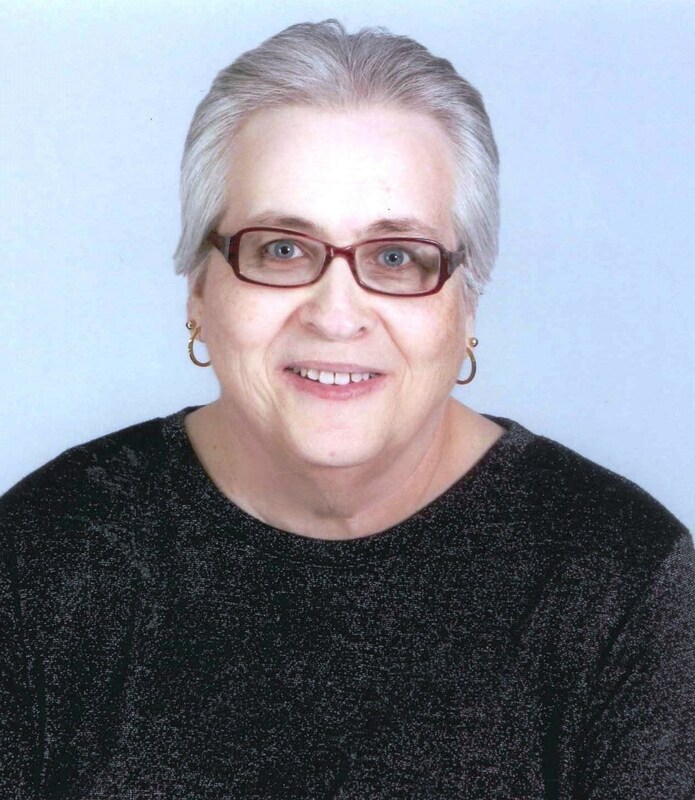 Karen Sue Nelson, 61, of Gore, Oklahoma passed away Friday, March 29, 2019. She was born August 27, 1957 in Muskogee, Oklahoma to Thomas Priest Jr. and Maxine (Hill) Priest. She married Gerald Nelson on September 1, 1972 at Fairview Baptist Church in Muskogee. They shared more than 46 years of life and marriage together. She was preceded in death by her father, Thomas Priest Jr.
Karen is survived by her husband, Gerald; mother, Maxine Hill of Stigler; sister, Barbara Priest of Muskogee; sister-in-law, Judy Nelson of Muskogee; brother-in-law, David Nelson and wife Carolyn of Chouteau; along with several nieces and nephews. Funeral services celebrating Karen’s life will be 10:30AM, Friday, April 5, 2019 at Cornerstone Funeral Home Chapel with Pastor Mike Murray officiating. Interment will follow at 12PM at Fort Gibson National Cemetery with Larry Isom, Hershel Mayle, Billy Hughes, Al Hallum, and Steve Cumbey serving as pallbearers. Honorary pallbearers will be members of the Emmanuel Sunday School class of Southeast Baptist Church. 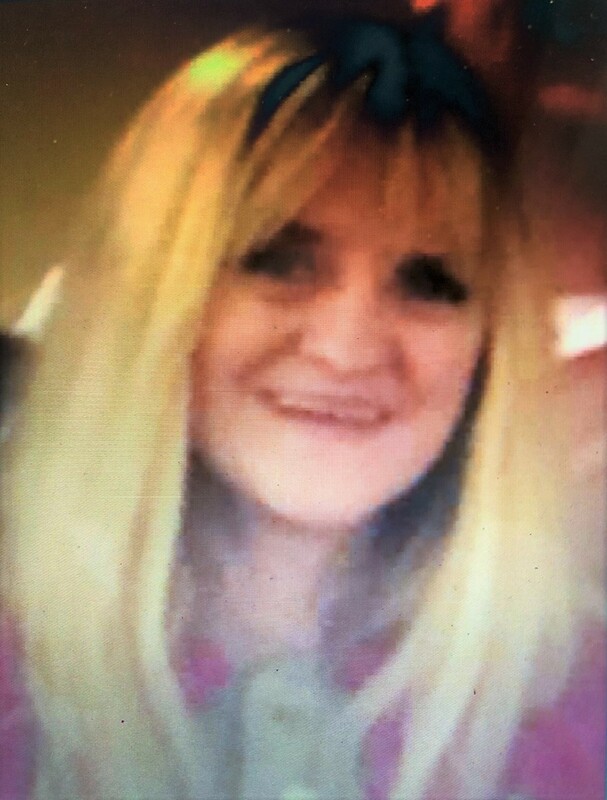 Ella Georgina “Gina” Peavler, 56, of Checotah, Oklahoma passed from this life on Wednesday, March 27, 2019. She was born in Fort Smith, AR on September 23, 1962 to George Washington Bolton and Freda Bolton (Qualls). Gina attended school at Greenwood Highschool and graduated in 1980, she later continued her education to West Arkansas Community College. Gina married the love of her life, James Steven Peavler, on July 14, 1990 in Muskogee, Oklahoma. They spent over 28 memorable years together. Gina spent most of her life as a nurse until she retired. She also served in the Army during Desert Storm. Gina is preceded in death by her parents, George and Freda Bolton. She is survived by her husband, James “Steven” Peavler; brother David Been; sister Kathy Marvel; father-in-law James Peavler; brother-in-law and sister-in-law Steve and Debbie Woods; nieces Stacy Falwell and Ashley Falwell. A celebration of Gina’s life will be 2:00pm Tuesday, April 2, 2019 at Fort Gibson National Cemetery with Reverend Steve Moss officiating. Service: 2PM, Tuesday, April 2, 2019 at Fort Gibson National Cemetery Committal Shelter. A precious baby boy, Anthony Michael Green, was born June 1, 2015 to Wesley James and Michelle Jean (Wilson) Green in Muskogee, Oklahoma. 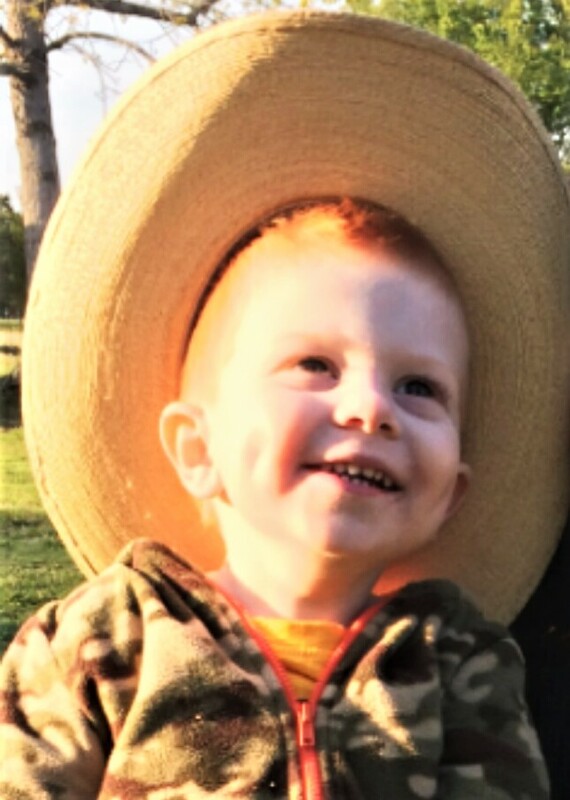 He entered Heaven’s gates on Wednesday, March 27, 2019 at the age of 3. His parents recall some of his favorite things were learning shapes, letters, and numbers, also playing with cars, tractors, puzzles and dinosaurs. He loved going on camping trips with his family and collecting coins. Spending time with his sisters was among his favorite daily activities. 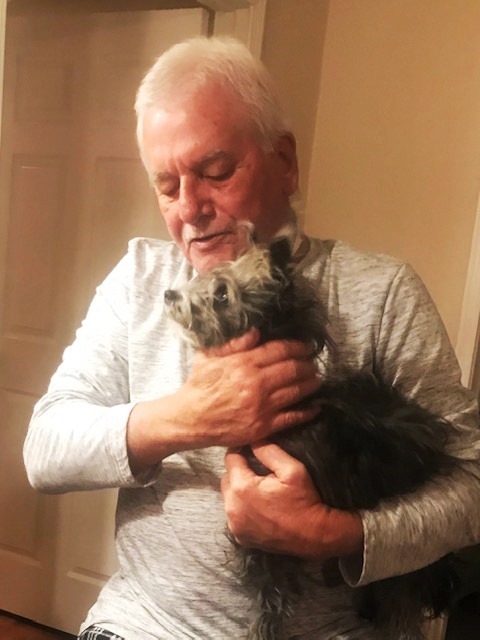 He will be remembered as a total sweetheart and loved having hugs and kisses at every good-bye. Anthony was preceded in death by his great grandmother, June Wilson. He is survived by his parents, Wesley and Michelle Green; sisters, Abigail, Audrey, and Autumn; grandparents, Mike and Sherry Green of Muskogee, Clark and Kathy Wilson of Crescent, OK and Ron and Peggy Gossmer of San Clemente, CA; great-grandmothers, Elizabeth Traxel of Bellflower, CA and Mae Green of Haskell, OK; other family members and many friends. Family visitation for Anthony will be 5:30pm-7:30m Tuesday, April 2, 2019 at Cornerstone Funeral Home. A celebration of Anthony’s life will be 10:00 a.m. Wednesday, April 3, 2019, at Cornerstone Funeral Home Chapel with Reverend Steve Moss officiating. Interment will be at Greenhill Cemetery. Visitation will be 9:00am-8:00pm Tuesday, April 2, 2019 at Cornerstone Funeral Home Chapel. Family Visitation will be held 5:30-7:30 Tuesday, April 2, 2019. Juanita Escoe was born April 23, 1949 in Moton Hospital Tulsa Oklahoma to Alton and Opal Guess. She attended and graduated from Webster High School. After High School Juanita worked at a Nursing Home where she also took care of both of her parents. Juanita accepted Christ at an early age, she rededicated her life to Christ at New Hope Baptist Church, Oktaha Oklahoma. Juanita met John C. Escoe and later married Feb 10, 1970. Juanita’s passion was her family. She was a devoted wife, mother, and grandmother. She loved family gatherings. She was all about helping anyone who needed a hand or a kind word. Juanita a resident of New Hope Community Oktaha, OK, transitioned in the arms of her loving husband, John C. Escoe Sr. at their home, Tuesday, March 26, 2019. She was preceded in death by father, Alton Guess, mother, Opal Guess, sister, Betty Guess, brother's, Alvin and Melvin Guess, son, Rodney Escoe, daughter Tonya Escoe. She leaves to cherish in her memory her husband, John C. Escoe Sr., son's John Escoe, Bryant Escoe and Zack Escoe, Tulsa OK, sister, Lillie Mae Hooks (Gene Hooks) Bristow, OK, sister in law's, Joella Escoe Huntington, WV, Lovie Radford (Mohandis Radford), Linda Harris, Kim Sherrrill (Michael Sherrrill) all of Tulsa Oklahoma, brother in law, Ronald Escoe (Maira Escoe) Louisiana, a host of grandchildren, great grandchildren, nieces, nephews and other relatives and friends. A Home Going Service is scheduled, Saturday, April 6, 2019, 11:00 a.m., Precious Memories Chapel, 2200 Military Blvd, Muskogee, OK; with interment to follow in Booker T. Washington Cemetery, Muskogee, OK.
Visitation will be Friday, April 5, 2019, 1:00 p.m. until 6:00 p.m.
Pamela Ann O’Connell went to be with the Lord on March 26th, 2019. She was preceded in death by parents Olan Epley and Martha Deskin; husband Tommy O’Connell; children Kelly O’Connell and Tammy O’Connell. She is survived by her grandson Connor Keene; siblings Teresa Hull, Ricky Destin and Randy Deskin; dear friends Kim Satterfield, Karen Morgan, and Mike Riggs; other family members and many dear friends. Graveside services 1:30pm Monday, April 1st, at Brooken Cemetery with Rev. Bill Fitzer officiating. Viewing will be 1:00pm-5:00pm Saturday, March 30th, 2019 and 1:00pm-5:00pm Sunday, March 31st, 2019. 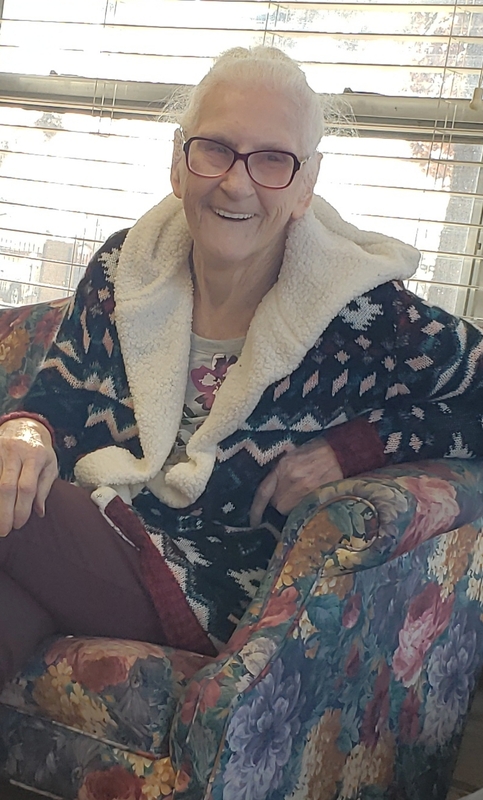 Barbara Ann Sommers, 79, of Muskogee died Monday morning, March 25, 2019 at Pleasant Valley Health Care Center. She was born June 23, 1939 to Al and Iva Waterstradt in Sheboygan, Wisconsin. Barbara grew up in New London, Wisconsin where she was educated, graduating from Hortonville High School in 1957. Barbara married James Sommers on June 19, 1963 in Appleton, Wisconsin. The couple made their home in Green Bay, Wisconsin where she worked many years with her brother, Gary Waterstradt in the fireplace business. In 1978 she moved to Muskogee when James was transferred with the paper company he worked for and Barbara got a job working in insurance industry. They both retired in 1995. Barbara attended St. Joseph Catholic Church and volunteered and the Catholic Charities infant supply closet until her health no longer allowed. Most of all she enjoyed her grandchildren and their many activities and Green Bay Packer football. Barbara was preceded in death by her parents and her husband James. She is survived by her daughters and sons-in-law, Britton and Danny Nevitt of Muskogee, Oklahoma and Samantha and Barry Wilson of Miliken, Colorado; her son and daughter-in-law, Joseph and Christina Sommers of Broken Arrow, Oklahoma; grandchildren, Allison and Jonathan Atwell of Bentonville, Arkansas, Ashley Nevitt, Alex Nevitt, Auston and Shae Sommers of Muskogee, Christopher and Brittni Sommers of Fort Worth, Texas, Rachael and Kirby Darbe of Edmond, Oklahoma, Elizabeth and Henry Boudreaux of Edmond, Oklahoma and Grace Wilson of Phoenix, Arizona; five great grandchildren, Britton and Lincoln Atwell, William and Lilly Darbe, and Charlie Boudreaux; seven brothers and sisters-in-law, Dan Waterstradt of Appleton, WI, Gary and Jackie Waterstradt of Green Bay, WI, Dennis Waterstradt of New London, WI, Steve & Sue Waterstradt of Palmer Lake, CO, Glen and Jeanette Waterstradt of Fayetteville, NC, David Waterstradt of Crandon, WI, Peter and Kathy Waterstradt of Green Bay, WI; and three sisters and brothers-in-law, Nancy Springstroh of Freedom, WI, Sandy and Lee Huebner of New London, WI, and Terry and Dan Geason of Green Bay, WI; and many nieces and nephews. Funeral Mass will be 2:00 p.m. Thursday, March 28, 2019 at St. Joseph Catholic Church with Father Richard Cristler officiating. The family will greet friends from 5:30 – 7:30 p.m., Wednesday, March 27, 2019 at Cornerstone Funeral Home. Interment will be at Memorial Park Cemetery with Alex Nevitt, Jonathan Atwell, Auston Sommers, Christopher Sommers, Bill Waterstradt and Jerome McVey serving as pallbearers. In lieu of flowers donations may be made to St. Joseph Catholic School. The family would like to thank the employees of Pleasant Valley Health Care Center for the wonderful care she received as well as the staff of New Century Hospice. 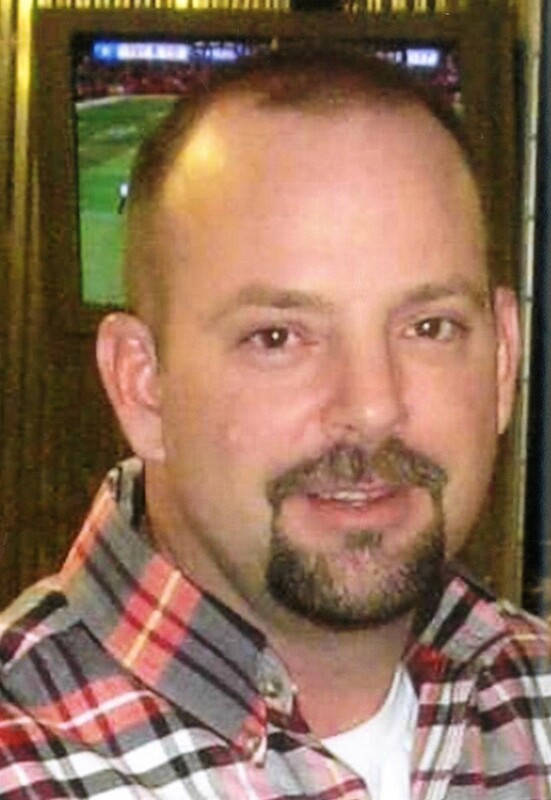 Thomas Bryan Lawson, 43, of Muskogee, Oklahoma, passed from this life on Monday, March 25, 2019. He was born on August 6, 1975 in Muskogee, Oklahoma to Larry Thomas Lawson and Loretta Sue Herriman. 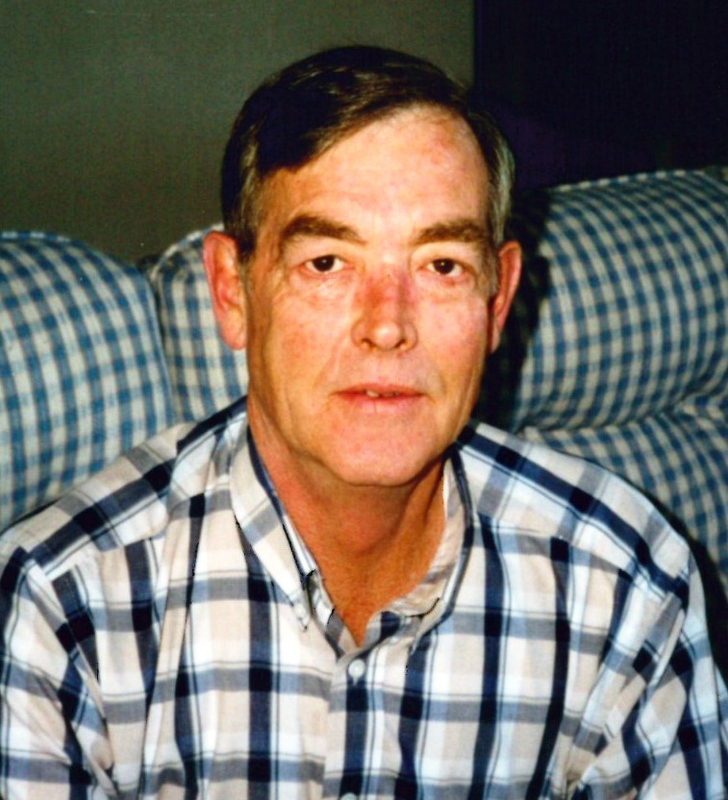 Thomas is preceded in death by his father, Larry T. Lawson; nephew Toby Wyatt Lawson; and maternal grandparents Tobe and Ada Herriman; paternal grandparents Ernie and Celia Lawson; uncles Don Lawson, Ronnie Herriman, and Donnie Herriman; and aunt Pam Herriman. He is survived by his fiancé Bobbi Benefield; son Stryker Allen Lawson; mother Loretta Lawson; brother David Shawn Lawson; niece Renee Lawson; nephew Allen Lawson; great nephews Cadrien Earl and Carter Monroe; future mother-in-law Ina Whitewater; and special friends Jason Stroud and Shelly Meeks Foster. A celebration of Thomas Bryan Lawson’s life will be 10:00am Thursday, March 28, 2019 at Cornerstone Funeral Home with Sanford Grigg officiating and Wade Snow assisting. 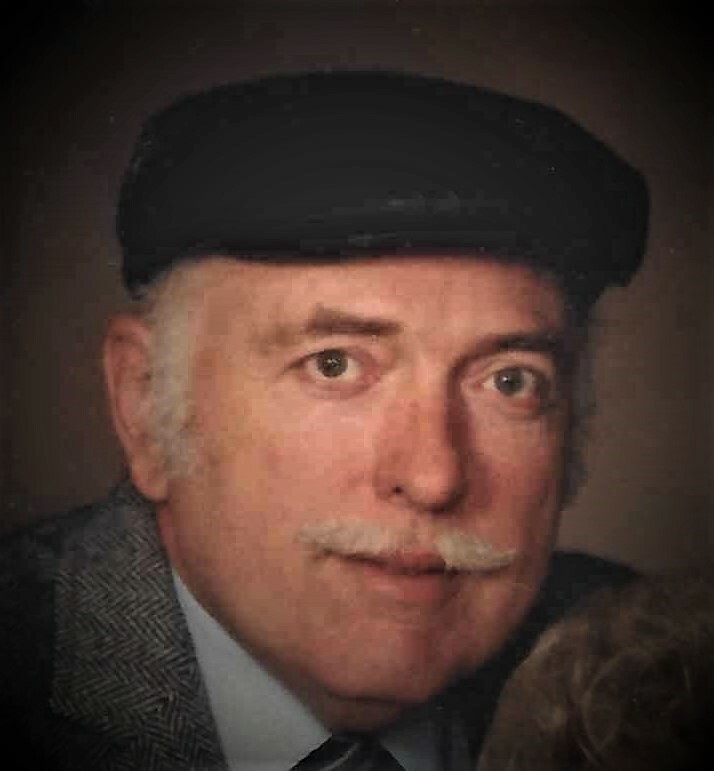 Visitation: 12:00pm-8:00pm Wednesday, March 27, 2019 at Cornerstone Funeral Home. 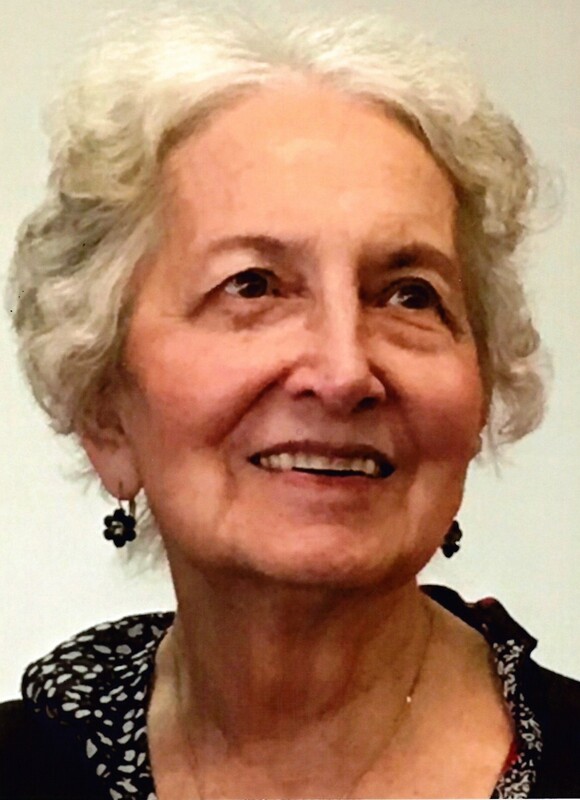 Alice Marie Hendrickson, 82, died Sunday, March 24, 2019. Alice was a longtime Muskogee teacher, a loving mother and grandmother, and a devoted friend to many. Services will be at 10 a.m. Friday, March 29, 2019, at First United Methodist Church in Muskogee with the Rev. Cindy Culver officiating. Burial will follow at Memorial Park Cemetery. Family will greet friends at Cornerstone Funeral Home from 5:30 to 7:30 p.m. Thursday, March 28, 2019. Alice was born Feb. 1, 1937, in Paris, Ark., to James Leroy Fullbright and Roxanna Lucille Humphrey. The family moved to Muskogee in 1941, and Alice graduated Muskogee Central High in 1955. She earned a bachelor’s degree from the University of Arkansas in 1959 and a master’s degree in 1974 at Northeastern State University. Her Zeta Tau Alpha sorority sisters remained friends for life, as did many teachers at Hilldale Public Schools. 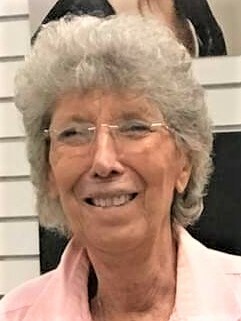 Alice taught English and creative writing at Hilldale from 1974 to 1995 and was an English instructor at Connors State College from 1995 to 2009. She loved literature, travel, reading, and playing bridge and Catchphrase. A life-long member of Muskogee’s First United Methodist Church, Alice was in the Wesley Class at the time of her passing. She also was a member of United Methodist Women and P.E.O. Sisterhood. Alice is survived by a son, Chris Hendrickson (Heather); two daughters, Debbie Rowan (Olen) and Karen Cox; 11 grandchildren, Josh Rowan (Rebekah), Shawn Rowan (Ashley), Jason Rowan, Blake Rowan (Sam), Amanda Butler (Jason), Zac Cox (Ryann), Jacob Hendrickson, Kayla Hendrickson, Gunnar Drake, Chandler Drake and Harper Kennedy; 10 great-grandchildren, McKenzie Rowan, Austin Rowan, Seth Leavell, Blake Leavell, Audrey Rowan, Brody Rowan, Addalyn Butler, Preston Butler, Whitlee Rowan and Kolsen Jacobson; a sister, Mary Jo Swoyer; nephews, Jim Swoyer (Susan) and Mike Swoyer (Carla). Pallbearers will be Josh Rowan, Shawn Rowan, Blake Rowan, Jason Rowan, Zac Cox and Jacob Hendrickson. Honorary pallbearers: Jim Swoyer, Mike Swoyer, Jason Butler, Roy Entz and Dennis James. 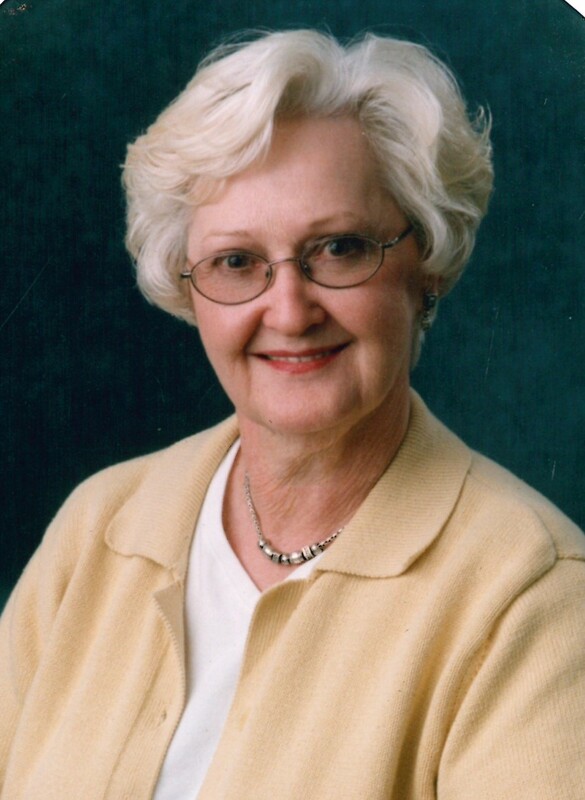 Memorials may be made in Alice’s name to First United Methodist Church, 600 E. Okmulgee Ave., Muskogee, OK 74403. Dorothy (Dotty) June Dunlap Passed away on Friday, March 22 at 3:58 P.M. at the Fort Gibson Nursing home surrounded by family. She was 92 years old. Dotty was born July 4, 1926 in Muskogee, Oklahoma to Elmer Thompson and Mary Hawkins Thompson, but lived by the Arkansas River in the Fort Gibson Bottoms. 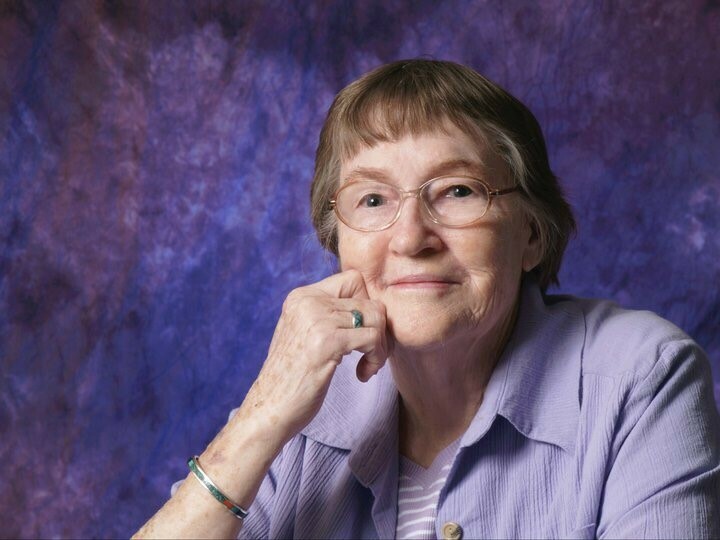 She graduated from Muskogee Central High School and received her bachelor’s degree from Texas Christian University in 1948 before getting her Masters in Science Education at OSU, where she met her husband, Paul McNeel Dunlap, Jr. in a class at Camp Gruber. Paul and Dotty were married on November 17, 1950 on the stairwell at her parents’ home in Muskogee, and they shared 45 years together until Paul’s passing in 1995. Dotty had a full teaching career in both Landover Hills, MD, and Muskogee, Oklahoma, where she taught earth and life science courses at both AR and Muskogee High School. While in Landover Hills, Maryland, Dotty and Paul had four children: Susan, Neal, Frances and Keith. Dotty was an avid rock hound and nature lover, and she had the most fun when in or around a body of water or her home garden. She enjoyed reading historical accounts, and playing games, cards, and dominos with her friends and grandkids. She was famous for her sage dressing at Thanksgiving and her signature potato salad. Dotty adored being with her family, playing Uno, watching old movies, going to nature parks, going on road trips, dressing up for Halloween, digging in the dirt, and, as Paul would say, “wallowing in the water.” Dotty was also a member of the Retired Teachers Association and St. Paul’s and Fort Gibson United Methodist Churches. Dotty was preceded in death by her parents, Elmer and Mary (Hawkins) Thompson, her husband, Paul M. Dunlap, Jr. and her four siblings, Charles Thompson, Frances King, Margaret Ann McKee, and Robert Thompson. She is survived by her children, Susan and David Gourd of Tahlequah, Neal Dunlap of Iowa Park, Texas, Fran and Paul Heirich of Broken Arrow, and Keith and Sara Dunlap of Fort Gibson. Her beloved grandchildren include Jennifer and Christian Perry, Rob and Shannon Evans, Jami Dunlap, Kasie Lamb, Brian and Kimberly Heirich, Michael Heirich, Steven Heirich, David Dunlap, Jesse Dunlap, Noah Dunlap, Robbie and Jennifer Gourd, Jessica and Mickey Burke, Andrew and Kelsey Gourd, and Dillon Gourd. Her beloved great grandchildren include Jaylei, Grace, Emma, Emily, Grayson, Triston, Mickey Jr. and Rosemary. Dotty also leaves behind a multitude of dear nieces and nephews, and wonderful friends. She will be greatly missed, but fondly remembered. Viewing will be Thursday from 12:00P.M.-1:45P.M. at the Fort Gibson United Methodist Church. Dorothy June Dunlap’s service will be officiated by Reverend Dawn Richards in the sanctuary at the Fort Gibson United Methodist Church on Thursday, March 28 at 2:00 P.M. Interment will be at Memorial Park Cemetery, Muskogee, Oklahoma. Her pallbearers include Robbie Evans, Brian Heirich, Michael Heirich, Steven Heirich, Jesse Dunlap, Noah Dunlap, Andrew Gourd and Dillon Gourd. In lieu of flowers the family requests that you make a donation to the missions committee of either St. Paul’s or Fort Gibson United Methodist Churches. 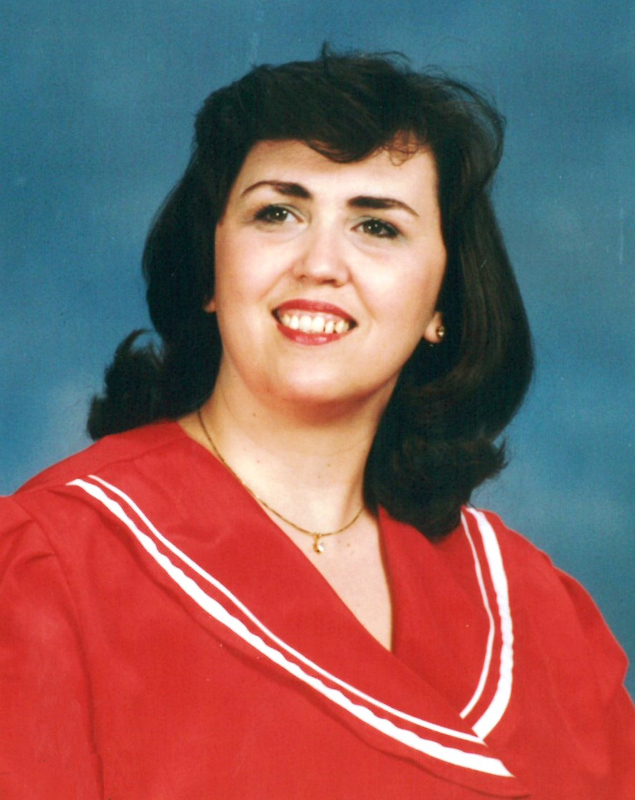 Mary Ann (Feenstra) Kinion, 54, of Muskogee, Oklahoma passed from this life on Thursday, March 21, 2019. She was born on February 27, 1965 to Willie Otto Feenstra and Virginia Mae Brown in Ogden, Utah. She received her GED and went on to work in management of a pizza industry. 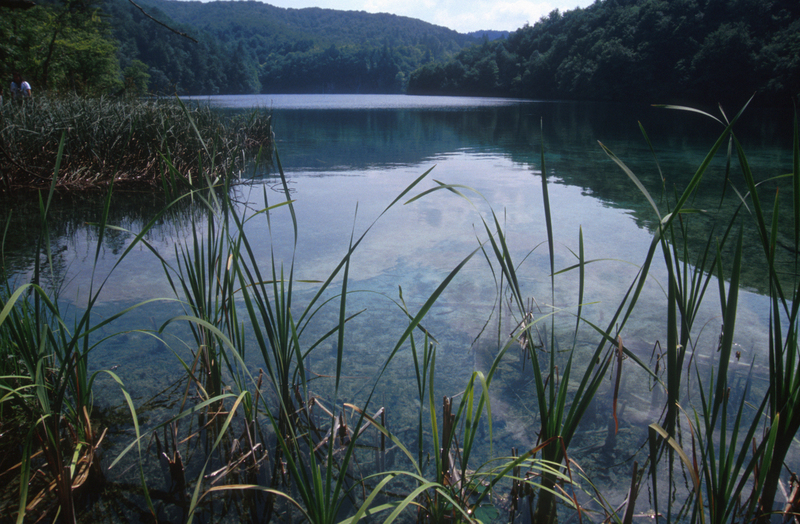 She loved to go camping and fishing, doing puzzle books, and just being outdoors. The one thing she loved most of all, was spending time with her family, especially her grandson. Mary is preceded in death by her parents, Willie Otto Feenstra and Virginia Mae Brown; her niece, Tina Marie; and her grandparents. She is survived by her sons, Robert Kinion of Muskogee, OK and Nick Kinion of Muskogee, OK; sisters, Sandie Feenstra of Southern, CA and Christine Guerra/ Trino of Southern, CA; brothers, Butch Feenstra of Southern, CA and Ron Feenstra of Southern, CA; grandson, Brayden Lee Kinion; other family, Robert, Krystal, Miranda, Cassandra, Travis, Jimmy, Doug, Rhonda, Robin, Tina, Sonya, and numerous other family and friends. A celebration of Mary’s life will be 2:30 Monday, March 25, 2019 at Cornerstone Funeral Home Chapel with Chaplain Bill Crow officiating. 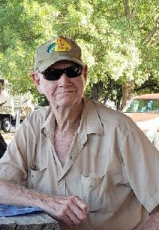 Carl Lee Cruce, 76, of Muskogee, Oklahoma passed away Thursday, March 21, 2019. He was born on June 22, 1942 in Okemah, Oklahoma to Lee and Bertha (Brewer) Cruce. He graduated and went to work at American Foundry where he was a loyal employee for 54 years. Carl also served his country as a member of the Army National Guard for several years before his honorable discharge on June 30, 1962. He will always be remembered as dependable and a very kind man. He loved working in his flower garden and growing roses. Carl also enjoyed fishing, especially for striped bass at Lake Keystone and raising koi fish in the pond he built. He especially enjoyed Thanksgiving as the tradition was to have an olive eating competition to see who could eat the most. Carl married the love of his life, Judith Ann, on January 6, 1976 in Tulsa, Oklahoma. They shared more than 43 years of life and marriage together. Carl will be greatly missed. He was preceded in death by his parents, Lee Roy and Bertha Cruce; sisters, Carol Hurley and Sharon Gillis. Carl is survived by his wife, Judith, of the home; daughters, Rhonda Lyon and husband Billy of Cushing, Kimberly Cruce of Bristow, Mary Crawford and husband Rick of Owasso, Julie McWhirter and husband Mike of Burnsville, NC; grandchildren, Shelbie, Cody, Michael, Brian, Scott, Lindsey, and Justin; 15 great-grandchildren; along with other family members and friends. 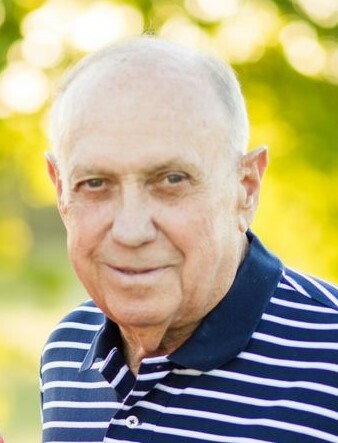 Graveside services celebrating Carl’s life will be at 1:30pm, Tuesday, March 26, 2019 at Greenhill Cemetery Pavilion with Chaplain Bill Holcomb officiating. Jean Capps, 87, of Muskogee, Oklahoma entered Heaven’s gates on Wednesday, March 20, 2019. 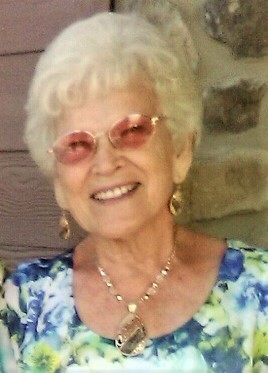 She was a wonderful God filled woman, homemaker, pastor’s wife, mother, and Nanny. She sought the Lord and so loved his Holy Word. Jean had a very strong faith and accepted the Lord around the age of 8 or 9. There she learned the meaning of “unconditional love.” Even though she was basically a quiet person, she was an enormous prayer warrior and fighter. With 50+ years of being a minister’s wife, she saw many a miracle and God’s mighty hand moving, leading, and guide. Jean loved the outdoors, especially the springtime when flowers began to bloom. She loved music, especially gospel and John Denver’s songs about the mountains, skies, streams, and love. Jean thrived on making her family loved and welcome, whether it be her blood family, her church family, or a neighbor family. She loved people and all of God’s creations, especially a love for dogs. She loved her family and was so devoted to her husband for over 71 years. She will forever be missed; ‘til we reunite in heaven. Jean is survived by her husband, Chester, of the home; children, David Capps and wife Chrystal, Diane Plunkett and husband Gary, Judy Chastain and husband Larry; grandchildren, Tessa Cross and husband Chuck, David Fuller and wife Michelle, Jon Capps and wife Cindy, Karri Parker and husband Roy Gene, Jeff Fuller and wife Jennifer, Karen Gilfillan, Jennifer Montalvo, Brooke Wilson and husband Travis, Gary Don Plunkett, Jeff Plunkett and wife Amy, Kara Webster and husband Danny, great-grandchildren, Derrick Skinner, Katelyn Fuller, Chelsea Fuller, Hannah Fuller, Peyton Capps, Madison Capps, Kaje Doke and wife Sailor, Brittanie Coughenour, Zachary Kelly, Ryan Smith, Payton Webster, Jaxon Webster, Madison Plunkett, Alivia Plunkett, and Luke Plunkett; great-great grandchildren, McKenna Coughenour and Hadlee Wilson; along with other family members and friends. The family will receive friends from 2-4PM, Sunday, March 24, 2019 at Cornerstone Funeral Home. Funeral services celebrating Jean’s life will be 10AM, Monday, March 25, 2019 at New Hope Assembly of God Church with Rev. John Overton, Brother Monte Humphrey, and Pastor Anthony Roe officiating. Entombment will follow at Memorial Park Cemetery with David Fuller, Jeff Fuller, Jon Capps, Gary Don Plunkett, Jeff Plunkett, and Roy Gene Parker serving as pallbearers. Mary Louise Fletcher, 66, of Muskogee, Oklahoma entered Heaven’s gates on Tuesday, March 19, 2019. She was born on October 27, 1952 in Ada, Oklahoma to Charles “Milton” and Anna Louise (Forbes) Courtney. Mary attended public schools and graduated in 1970 from Konawa High School. She furthered her education at Oklahoma University and received a Bachelor’s degree in Administration. Mary married the love of her life, Larry Fletcher, on April 10, 1971 in Konawa, Oklahoma. They shared more than 47 years of life and marriage together and were blessed with three daughters. Mary worked as the Administrator for Eastgate Village Healthcare Center for many years caring for the residents. 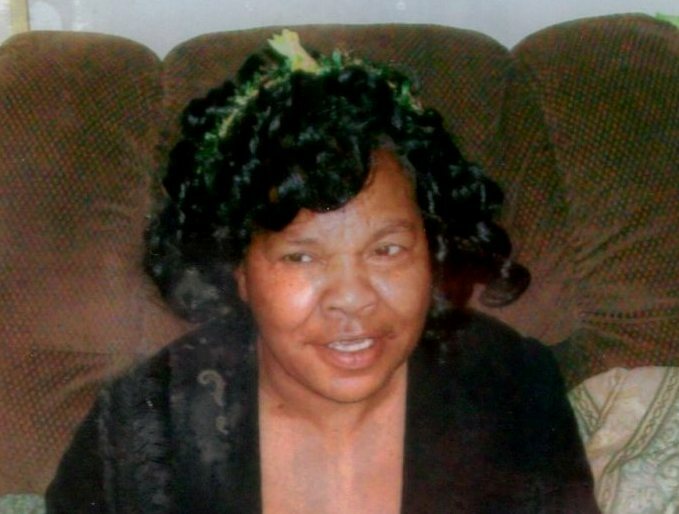 She was an active and faithful member of Boulevard Christian Church. She was preceded in death by her grandparents, Jewel and Elida Forbes, H. W. and Estelle Courtney; her sister, Anita Hawthorne; and her parents-in-law, Lawrence and Sarah Fletcher. Mary is survived by her husband, Larry, of the home; her daughters, Amy Hardy and husband Jeff, Cary McClenan and husband Scott, all of Muskogee, Bethany Willige and husband Dusty of Norman; grandchildren, Andrew Willige, Anna Hardy, Aubry Fletcher, Fletcher Hardy; her parents, Milton and Anna Courtney of Konawa; her brother, David Courtney and wife Debbie of Chickasha; brother-in-law, Terry Hawthorne of Midlothian, TX; sisters-in-law, Tonie Calhoun and husband J.E., Faye Watkins and husband Jerry, Connie McConnell and husband Stan; brothers-in-law, Ronnie Fletcher and wife Kay, and Tommy Fletcher; along with a host of nieces, nephews, cousins, and one aunt, June Skaggs. Honorary pallbearers will be Jeff Hardy, Dusty Willige, Scott McClenan, Andrew Willige, Fletcher Hardy, and Terry Hawthorne. 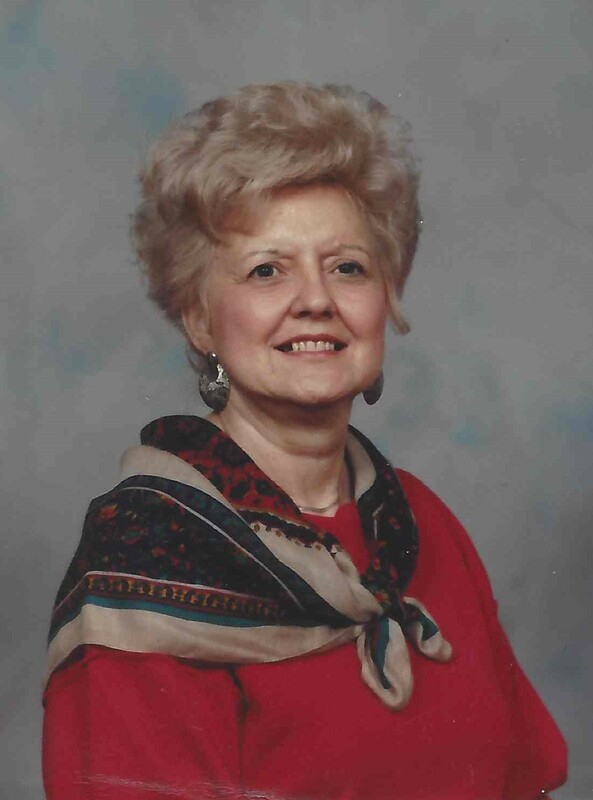 Billie Marie Carlile, 89, of Fort Gibson, OK was born January 3, 1930 in Stilwell, Oklahoma to James Sr. and Millia M. (Rickert) Carlile and passed away Monday, March 18, 2019 in Fort Gibson, Oklahoma. Billie received her education at Tahlequah High School. In 1970 she started her career as a Realtor and work for Billie Young Real Estate for more than 30 years. She was a faithful member of the Muskogee Round-Up Club. Billie loved to shop and she never left the house without her lipstick and her earrings. She was always willing to help anyone. Billie loved to cook and spend time in her garden. 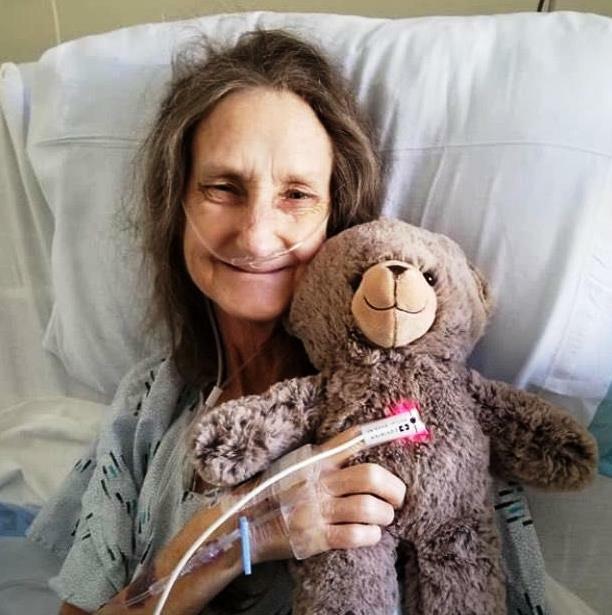 Billie is survived by her daughter; Leslie Zarnke and husband David of Muskogee; grandsons; Brandon Moore and Joshua Young both of Muskogee; granddaughters, Kimberly Finnerty and husband Jimmy, Tiffany Young all of Muskogee and Stephanie Silva of Tulsa; daughter in law, Monica Young of Vian; great grandsons, Rhys Tucker and Gage Finnerty of Muskogee; great granddaughters, Ashley Tucker, Candace Young and Rainee Young of Vian; great grandsons, Slade Silva and Isaiah Silva of Tulsa. She was preceded in death by her parents; James and Millia Carlile; son, Kim Anthony Young; brother, James Carlile, Jr; best friend and former husband Lester Young. A memorial service celebrating Billie’s life will be held 2PM Friday, March 29, 2019 at the Tahlequah City Cemetery Gazebo in Tahlequah, Oklahoma with Chaplain Kevin Webster officiating.